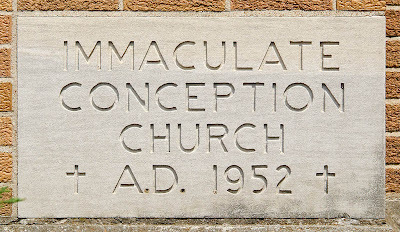 HERE ARE PHOTOS of Immaculate Conception Church, in Union, Missouri. 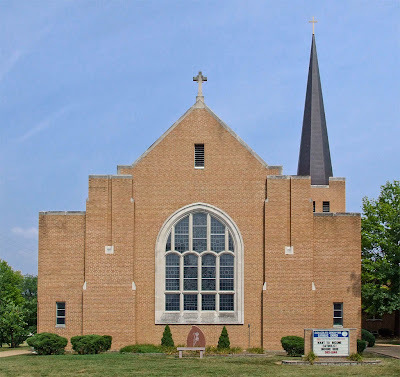 The church is about 51 highway miles west of downtown Saint Louis. The parish dates from 1866, while this church dates from 1952. In 1818, Franklin County was split off from Saint Louis County, and in 1825, the Missouri state government established Union as its county seat, replacing Newport (now Dundee). It gets its name neither from labor organizations, nor from the Northern side of the American Civil War, but rather from the civic virtue of solidarity. Union is a rapidly-growing manufacturing center and bedroom community, still surrounded by much rural area, and is located near Interstate 44. 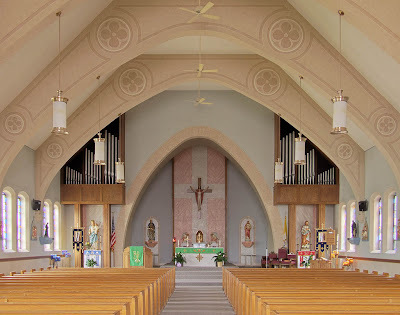 This is a pre-Conciliar church of semi-Modern style. Flanking the altar are statues of Saint King Louis IX of France and the Sacred Heart of Jesus. 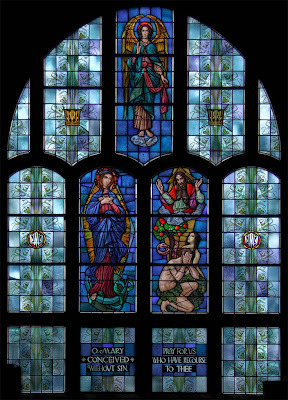 Architectural and artistic Modernism didn't appear widely in Catholic churches until quite late, and continued long after the style had mainly faded from the secular world. 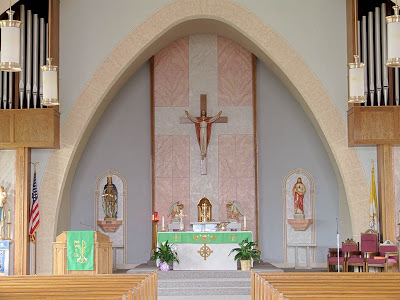 The major elements of modernism used in this church is the use of non-traditional forms as seen in the main crucifix and arch surround, as well as in the simplified form of the church exterior. 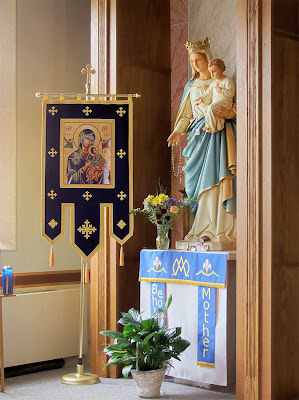 Statue of the Blessed Virgin Mary, along with the Byzantine icon of Our Mother of Perpetual Help. 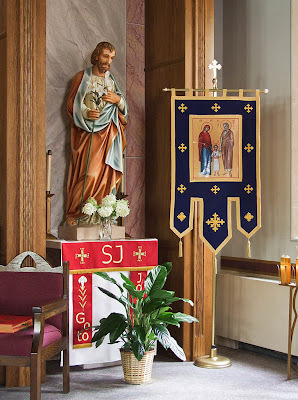 Saint Joseph, along with an icon of the Holy Family. On the right, God the Father (note the triangular halo) drives Adam and Eve out of Eden. The serpent is seen with the Tree of Knowledge of Good and Evil, here represented as an apple tree. This is a pun: in Latin, malus = 'apple' and malum = 'evil'. On the left, Mary, the New Eve, crushes the serpent's head. This illustrates the Catholic doctrine of the Original Sin of Adam and Eve, leading to Mary, immaculately conceived without this Original Sin. Moral Modernism claims that we all have the same choice as did the First Parents (a form of the heresy of Pelagianism), but simple experience dispels this notion. 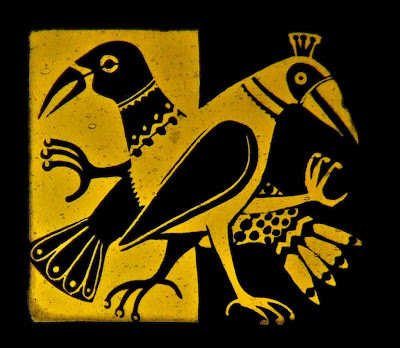 Two birds are detailed on a window. Perhaps these are peacocks, which are symbols of divinity in traditional Christian iconography. In one of the entrances is a statue of Saint Clare of Assisi (born Clare Offreducio), 1194-1253, friend of Saint Francis, and foundress of the Poor Clare sisters. Let the sisters not appropriate anything, neither a house nor a place nor anything at all; instead, as pilgrims and strangers in this world who serve the Lord in poverty and humility, let them confidently send for alms. Nor should they be ashamed, since the Lord made himself poor in this world for us. This is the summit of the highest poverty which has established you, my dearest sisters, heiresses and queens of the kingdom of heaven; it has made you poor in the things of this world but exalted you in virtue. Let this be your portion which leads into the land of the living. 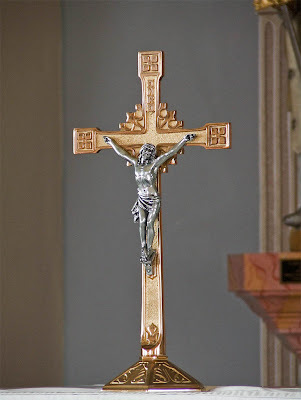 Clinging totally to this, my most beloved sisters, for the name of Our Lord Jesus Christ and his most holy mother, do not ever wish to have anything else under heaven. — from Saint Clare's Rule of Life of Poor Sisters. 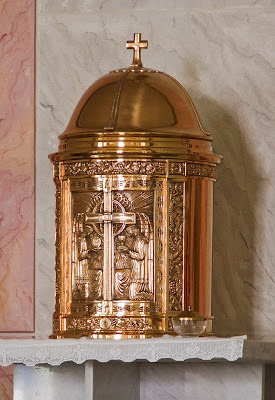 Sunday: 7:00 a.m., 9:00 a.m., and 11:00 a.m.
Holy Day (Vigil): 7:00 p.m.
Holy Day: 7:00 a.m., Noon, and 7:00 p.m.
Saturday: 3:45 - 4:30 p.m.
Tuesday: 8:30 a.m. until closing with Benediction at 7:30 p.m.